Solid wood construction frame with high quality mirror to withstand bathroom humidity. Dimension: 36Wx2.4Dx41.5H * ** * Birch* cream white* No Assembly Required Faucet and mirror not included. Professional installation recommeneded. Finished in a luxurious dark walnut, the classic Admiral 23-1/2 in. x 30 3/4 in. solid wood framed mirror will complement a variety of bathroom styles with its elegant appeal. The traditional decorative crown and base molding lends a graceful touch. 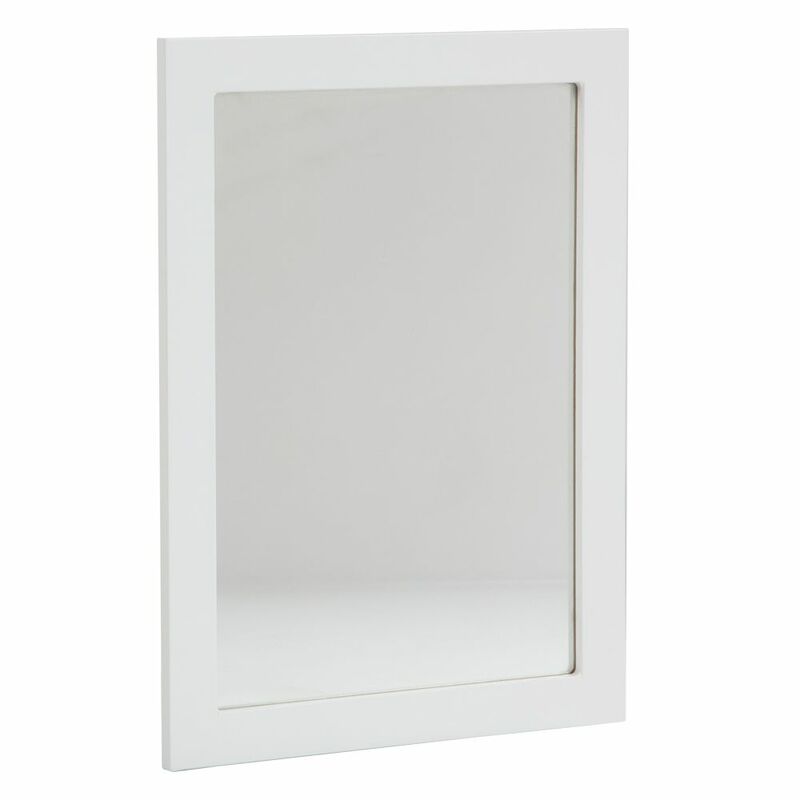 Lancaster 20 Inch Wall Mirror in White - LAWM20COMC-WH The Lancaster wall mirror combines transitional furniture stylings and a smooth white finish for a clean and beautiful look. Designed to be hung vertically or horizontally. This wooden framed mirror matches the Lancaster Vanity Collection for a coordinated look.